MISSION & OBJECTIVE - The festival aims to give filmmakers a greater amount of exposure by showcasing one specific film on the youtube channel for an entire week to a limitless audience. 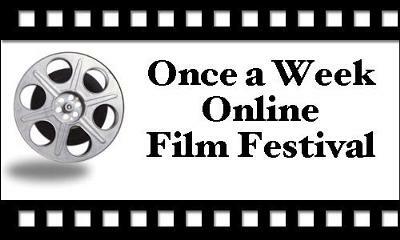 ABOUT THE FESTIVAL - Once a Week online film festival is a weekly showcase of short indie films under 10 minutes. All films showcased come directly from submissions. Every Wednesday at 10pm eastern time the highest rated film will be shown on the homepage and will remain for an entire week. Each selected film will stay on the channel forever and as the festival grows will receive more and more views. The first film will be shown on August 4th, 2010.
and be in consideration for an entire year. Depending on the week, the highest rated film will be showcased, so if the submitted film does not show right away there is a chance it could in a month or two depending on the quality of competition. After one year the submitted film will officially be out of competition and no longer considered.